In traditional Textile winding machinery factories, many customers still use HSS Blades. Those blades may not work for long and it is able to cut thin yarn only. They don’t work well. Now we recommend a alternative material yttria-stabilized zirconia ceramic. This is not the ceramic you imagined. Maybe you will be worried about it is brittle. In fact, it has high Flexural toughness. Compared to HSS blade, it is sharper and has ability to cut thick yarn. It can stand the sharp lead to long cycle life as well. So cost is effective. 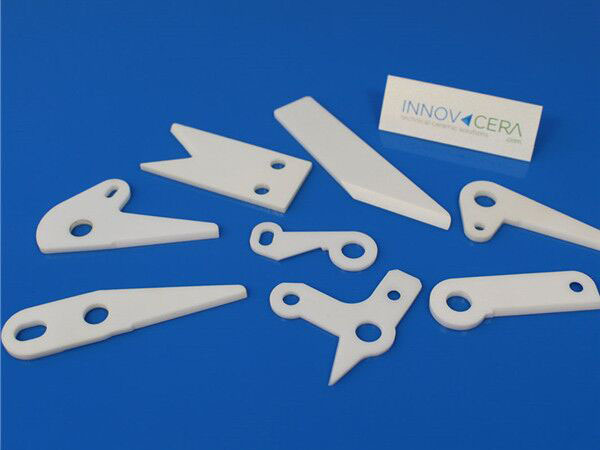 Any interests about ceramic textile blades, let us know.